You are at:Home»News In Focus»Cancer Nursing»Are our busy doctors and nurses losing empathy for patients? Sue Dean, University of Technology Sydney. With more demand on doctors and nurses and a push for quicker consultations, clinical empathy is being dwarfed by the need for efficiency. But this doesn’t mean patients have stopped wanting to be treated in a caring and empathetic manner. And there is a growing body of evidence that this need is often not being met. In the novel To Kill a Mockingbird, Atticus Finch tells his daughter Scout that “you never really understand a person until you consider things from his point of view … until you climb into his skin and walk around in it”. This is empathy – where one identifies with another’s feelings. It involves compassion and the ability to understand and respond to the feelings of others. Often, an empathetic response leads to a caring response. Empathy is different to sympathy which is described as feeling sorry for another person. This does not require us to understand the other person’s point of view, but is an automatic, emotional response. In health care, feeling sympathy for another person can overwhelm us with sorrow and often preclude us from helping. In recent times, poor communication, including lack of empathetic and caring behaviours, has resulted in an increasing number of complaints against health professionals in Australia. Shocking cases of maltreatment at a United Kingdom public hospital between 2005 and 2009 reveal the extreme consequences of negligence, poor communication and lack of empathy in health care. Incidents ranged from patients being forced to drink from flower vases to lying in their own excrement. More than 300 deaths were directly linked to this neglect. At the crux of the recommendations made in a report of the inquiry into the incidents was the need for improved communication between health care workers and patients. Empathy is fundamental to effective communication. For doctors and nurses, this means placing the patient at the centre of care. This skill leads to increased levels of satisfaction not only in patients but also the doctors and nurses. Importantly, it is also associated with improved patient outcomes. Why are nurses and doctors losing empathy? Technology has greatly contributed to health professionals’ diminishing levels of empathy. It has come at the cost of changing the way doctors and nurses interact with their patients. Because there are fewer opportunities for direct patient contact, it hinders the ability to develop a rapport with patients, monitor their non-verbal communication and elicit feedback on the interaction. For instance, touch has historically been a large part of the work of a nurse. 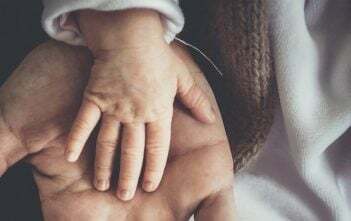 When nurses hold a patient’s hand or arm to take their pulse, for instance, it contributes to the kind of connection that has been shown to release the feel-good hormone oxytocin. But taking a patient’s pulse manually is now more often than not replaced by a probe attached to a patient’s finger. Computers on wheels create a physical barrier for nurses when they use them to administer medications and access documents; and smart phones that support patient interviews have replaced the opportunity for a nurse to physically be present and develop a rapport with a patient. Meanwhile, virtual reality games and experiences are often used to distract patients undergoing painful procedures, when in the past a nurse may have held the patient’s hand. Learning often takes place using simulation technology, where students interact not with actual human beings but with computerised mannequins. It is understandably difficult to respond to a mannequin as a patient with emotional needs. Students subsequently find it difficult, in a real clinical setting, to integrate desired communication skills – in particular, empathy. University programs are often content-heavy, with graduates required to meet many competencies before they can be registered with professional bodies. The result can sometimes be that students in health professional courses tend to focus on clinical and technical skills at the expense of good communication. The disruptiveness of technology may also be a factor affecting the ability of nurses and doctors to be empathetic and compassionate. Technology encourages multitasking, which is good for efficiency, but can distract health care professionals from important interpersonal interaction with patients. Funding constraints in the university sector, decreasing clinical placement opportunities, the increasing complexity of patients, and a heightened awareness of ensuring patient safety and the associated legal responsibilities, all contribute to the increasing use of the controlled learning environment laboratories offer. Learning in laboratories using technology is being developed to maximise experiences that develop empathy. Good communication needs to be role-modelled, taught and assessed in university programs and throughout clinical practice. We need a better understanding of empathy development in health professions and more research on how to improve the situation with changing technologies. Most importantly, though, we need always to listen to our patients. This article was originally published on The Conversation. Read the original article. This article was part of The Conversation’s series on understanding others’ feelings, in which they examine empathy, including what it is, whether our doctors need more of it, and when too much may not be a good thing.